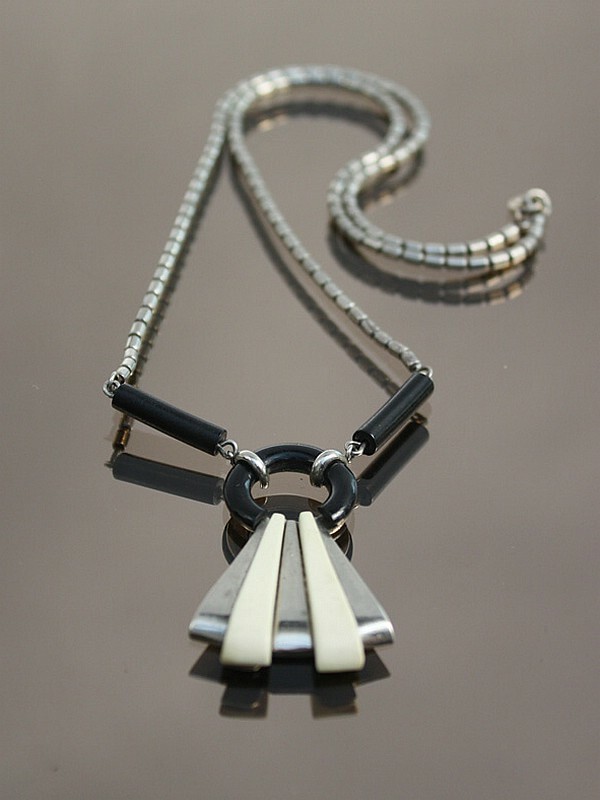 An Art Deco chromed brass and Galalith necklace, Germany 1930s, attributed to Henkel & Grosse. CF. "European Deisgner Jewelery" Ginger Moro page 129 - "Art Deco Schmuck Jakob Bengel" Christianne Weber, 2002, for similar examples.